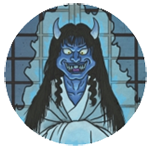 APPEARANCE: Hinnagami are powerful spirits from Toyama Prefecture. They reside in dolls and grant their owners’ wishes. INTERACTIONS: A hinnagami will grant its owner any wish that he or she desires. Families who own hinnagami quickly become rich and powerful; and people who become rich and famous very quickly are sometimes suspected of owning hinnagami. Hinnagami come with a catch: if a new request is not made as soon as a wish is granted, the hinnagami will demand, “What is next?” As soon as that request is fulfilled, the hinnagami demands another, and another, and another. This pattern never ends. Because their creation comes out of human greed and desire, hinnagami cling to their creators obsessively and never leave their sides. A hinnagami’s attachment is so powerful, in fact, that even death cannot separate it from its master. When a hinnagami’s creator dies, the hinnagami will follow them to hell and haunt them for all of eternity. ORIGIN: Hinnagami are created through a long and complicated ritual. There are a few methods of creating a hinnagami, which vary bit by bit depending on who you hear the story from. In the most common ritual, the person who wishes to create a hinnagami must begin collecting grave earth that has been trampled on by people during the day. Grave earth must be collected in this way every night for three years. For an even stronger hinnagami, they should take earth from seven different graveyeards in seven different villages. Once collected, the grave earth is mixed with human blood until it becomes clay-like. Then it is molded into a doll shape representing a god or a spirit that its creator worships. This doll is placed and left in a busy road until it has been trampled upon by one thousand people. Then the creator retrieves the doll, which has become a hinnagami. An alternative method is to collect graveyard stones and carve them into one thousand small dolls, each about nine centimeters long. These dolls are boiled in a large pot until only one of them rises to the surface. 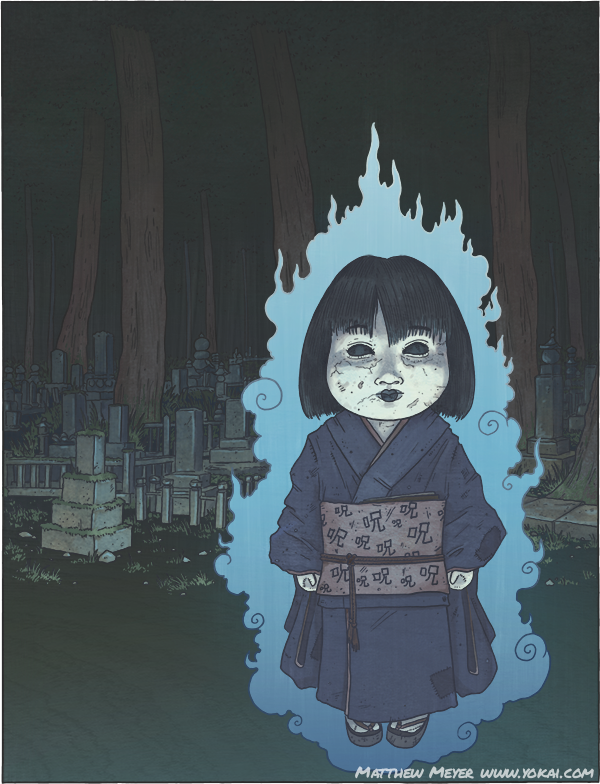 The doll that rises is said to contain the combined souls of all one thousand dolls. It becomes a special type of hinnagami called a kochobbo.